The newly renovated Copperwynd won't disappoint. 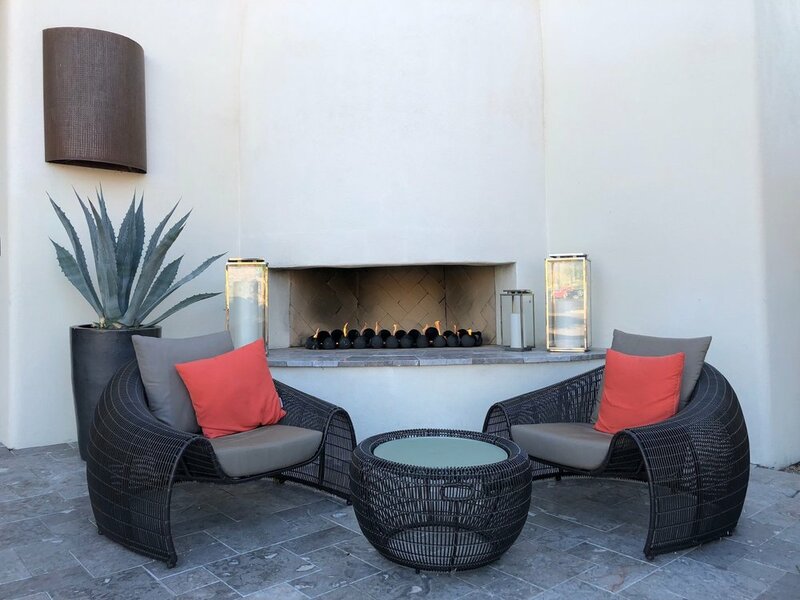 Gorgeous patios and pink sunsets. February is the best time to enjoy the outdoors in AZ. The Copperwynd Resort is a little bit out of town but worth the drive. We knew it was the weekend of one of the largest car auctions in the US so we chose to stay away from the action. The resort was lovely and recently became part of the Kimpton Hotel family. All of the hotel’s public spaces have been recently renovated and they do not disappoint. The staff said the rooms are next and boy do they need it but, they are spacious with lovely views and a fireplace. We had a great stay and enjoyed the pool, spa, tennis courts, and even a star gazing event. Fun! David and I had so much fun exploring the dining options in Scottsdale. Barrio Queen - Try their authentic Mexico City dishes and great margaritas! Citizen Public House - Established in 2011 in Downtown Scottsdale, the modern restaurant serves award-winning fare and delicious drink concoctions. Farm & Craft - Focused on healthy and sustainable food in a community-style atmosphere. FNB - This award-winning restaurant has continued to receive acclaim both locally and beyond for its richly flavored, globally accented seasonal menus. The Mission - Come here for the modern latin cuisine and romantic, hip atmosphere. Getting ready for a fun day at Top Golf. Great views are everywhere at TPC. I love the criss-cross patterns on the green @TPC. In addition to relaxing by the pool, spa treatments and playing tennis at the resort, we found some fun activities around town that were great! Hiking – We had a great early morning hike/run through the Sonoran Preserve. Absolutely beautiful! 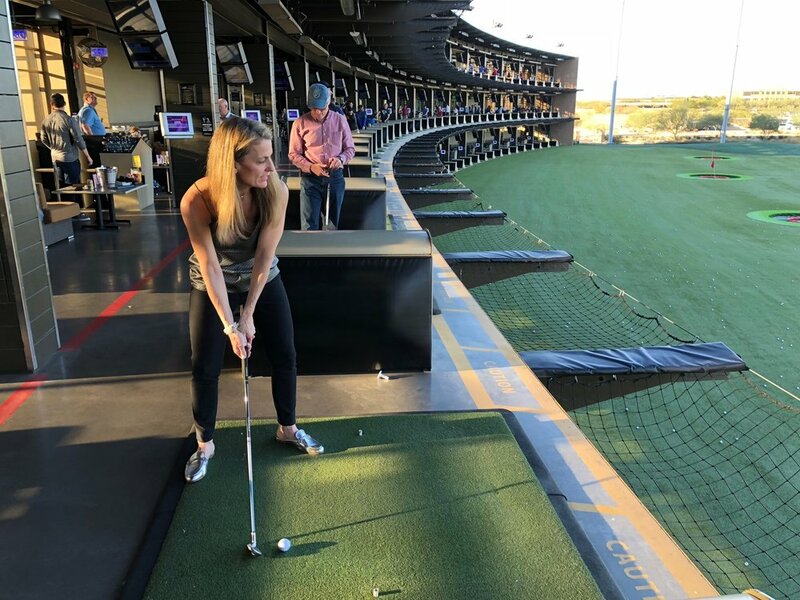 Top Golf – What a venue! Definitely a perfect place for a large group but, don’t pass this place up if you just have a party of two. We dropped in before dinner and it was the perfect late afternoon outing. The Phoenix Open PGA Course - We also toured the home of The Phoenix Open (TPC) – the biggest and rowdiest golf tourney on the tour played the first weekend in February. Beers & golf = great fun! Happy Hour – Fun spots to share a cocktail! El Chorro, Second Story Liquor Bar, and Zuzu. Shopping – Scottsdale Fashion Square & Thursday evening Art Walk in Old Town Scottsdale. Enjoying the views and clear air at the Sonoran Preserve. Considering your next getaway? Try Scottsdale, there’s so much to do and who doesn’t love a little vitamin D?